Thank you for the last 10 years! 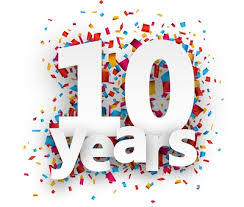 Today marks 10 years since I became a licensed Mortgage Broker in Alberta. April 26th 2007. The date I jumped on the roller coaster of self employment. Things were so crazy in Edmonton during that time. We were in the midst of a major housing bubble. Prices were going up month-over-month, mortgage lenders were offering all sorts of crazy mortgage products and it felt like every apartment building in the city was being converted into a condo. I can remember being scared but excited. I felt like this was something I could excel at. I was finishing my post secondary education in Finance as a part time, evening student and I had worked full time in sales, for years. I figured I had this in the bag. I was in for a very rude surprise. The first few years were marked with many sleepless nights and worries. The mental shift from being an employee with a regular pay check to wondering when my next deal would close was a real challenge for me to overcome mentally. This was not as easy as I had anticipated. I kept at it, even when my instinct told me that it was too hard, to just go get a “real” job. My husband supported me throughout this challenging time, always telling me that I could do this, to just keep at it. That it would all work out. While the last 10 years have not necessarily been easy, they have been rewarding. I have learned so much about perseverance and myself. About being too stubborn to quit even when it was my instinct to do so. It has taught me that hard work pays off and the most important path to success is consistency. This business is all about relationships. If you do good honest work, treat your customers and referral sources right, and stay disciplined with your routine your business will thrive! I can’t believe that it’s been 10 years. I have helped hundreds of people purchase a home, or refinance one to make things easier financially. It has been a pleasure and I have learned so much along the way! Thank you to my fabulous clients, referral sources, mentors, friends and family for being the driver of my success. I would not be here without you! Here’s to another 10! Confused about the new mortgage rules? There are many benefits to using an independent mortgage broker to obtain mortgage financing. 1. I am independent. I can give you multiple mortgage options based on a variety of factors (rate isn't always the only important consideration). 2. Mortgage brokers deal with a variety of lending institutions and can quote rates and products from several lending institutions. 3. Mortgage brokers will work quickly and efficiently to help select a mortgage lender that meets your needs, guide you all the way through the application to the approval process, as well as offer personalized service and advice over the life of your mortgage. 4. The best part? The lenders pay me to set up your financing and send business their way so there is usually no charge for you to use an independent broker to arrange your financing! If you require a mortgage, want a second opinion or have any questions in regards to mortgage financing, I would be pleased to assist you. 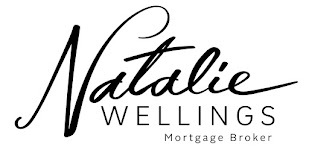 The author of this blog, Natalie Wellings, is a licensed Mortgage Broker in the province of Alberta. The opinions expressed within this blog are those of the author and are simply that, opinions! The views expressed in this blog are not intended to advise you in any way, as your needs may differ depending on your particular situation. The information provided in this blog is not guaranteed to be accurate and is subject to change at any time. For legal advice/information, please consult a lawyer. For real estate advice/information, please contact a licensed Realtor. For tax advice/information, please consult an accountant. For investment advice/information, please contact a financial adviser. The information contained within this blog and posted by the author is believed to be true but cannot be guaranteed to be so. The author of this blog takes absolutely no responsibility for the comments posted by third parties on this blog.